I usually like to dress more on the conservative side of things, when it comes to showing skin anyways. This crop top was way to cute to pass up. At first I wasn’t a fan of the little daisies around the collar but now I think they are really cute and make a regular striped shirt a little more interesting. 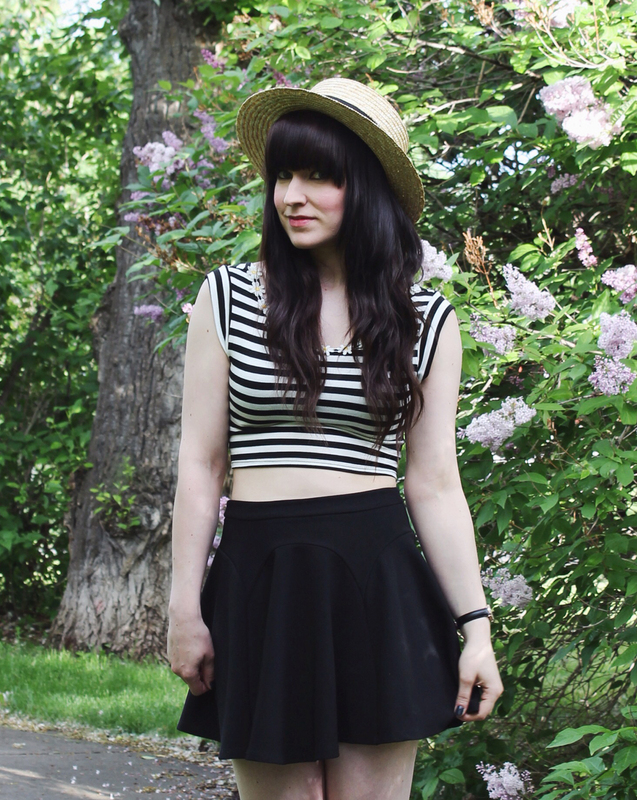 Because I didn’t want to show off my entire mid drift I wore my black skirt with the outfit. It sits at the right spot to compliment the length of the top. 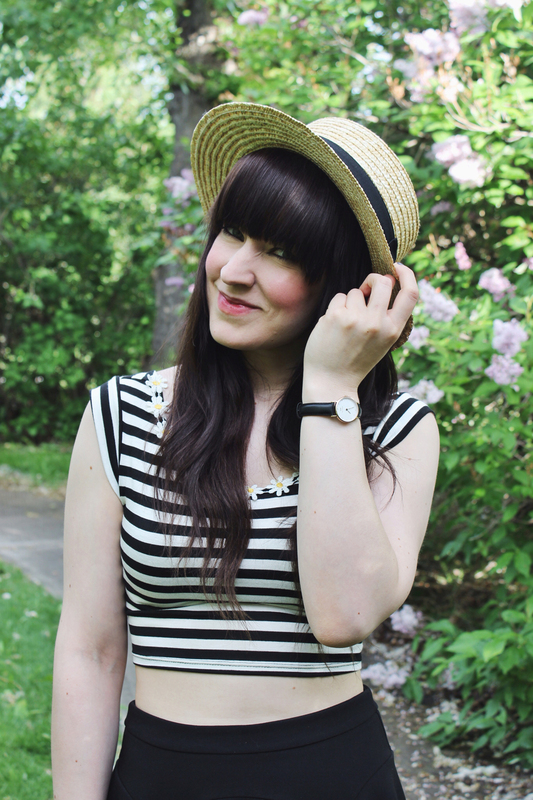 I wanted to keep my accessories minimal for this outfit mainly because I wanted to focus on my awesome new Daniel Wellington Watch! It’s the Classy Sheffield and it is indeed very classy and Feminine. It suits my style perfectly! 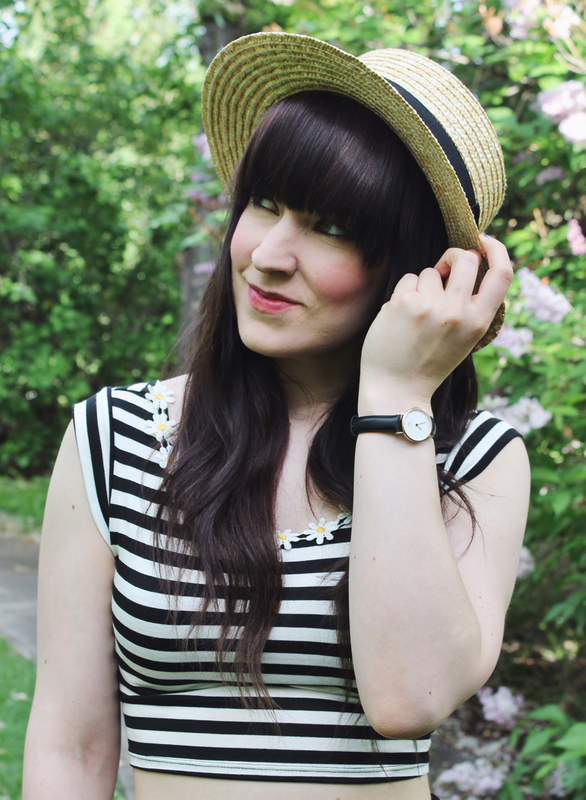 Right now Daniel Wellington is offering 15% off their online store for my followers, just enter the Discount code “thefoxandfern” until the end of July! Such a cute outfit! The hat reminds me of Madeline.